In the photo I see a Cletron Speaker and not a Jensen P8R. Is it its original one of 1949? The amp pictured is a Champion 600, like all two-tones. The 800s had a straight-front cab covered in greenish fabric. 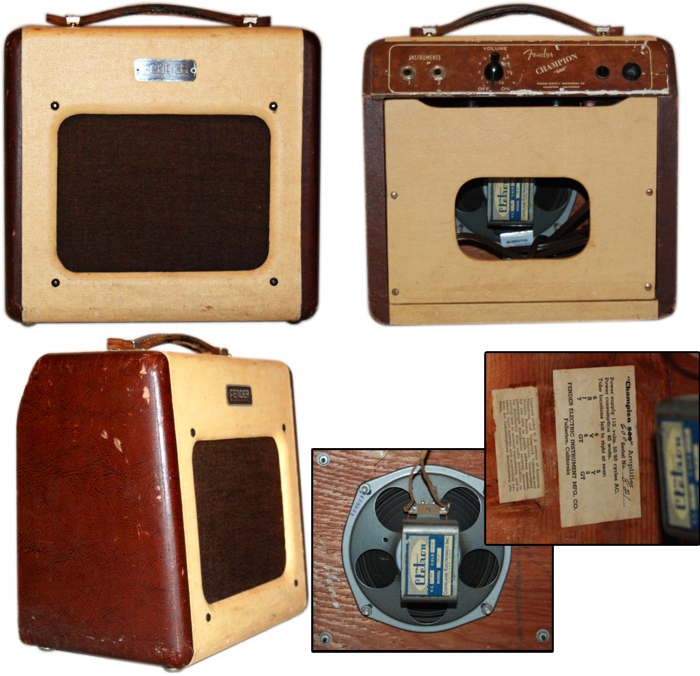 When the change was made to the two-tone with 6″ speaker in 1949, Fender saved a few pennies by using the same tube chart labels, with “800” altered to “600” by hand as with the one pictured. The circuit was identical. The C800 would have been “Model 5A1” according to the later system, which wasn’t adopted until 1953; the wide-panels were “5C1” acknowledging the two earlier models.